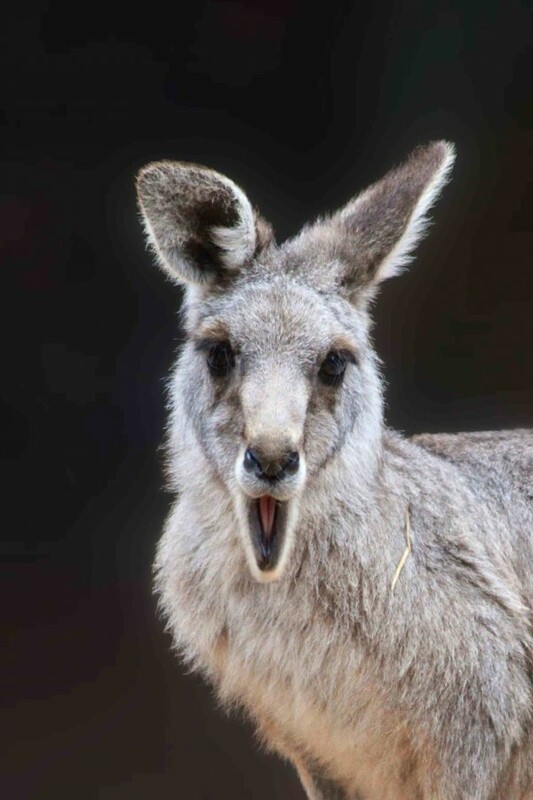 The Eastern Grey, is one of Australia's large species of kangaroo. Found on the east coast of Australia, we estimate that there are about several million living in forests and bushland. Kangaroos are completely herbivorous and mainly eat the vegetation growing in the bush. Alongside people farms and gardens too. Due to the increase of water via irrigation for farms kangaroo numbers are actually increasing. Making it likely that you will find one in Australia hopping around the countryside. On approach, they will quickly hop away, so if you need to photograph one, you need to sneak up on it. When you do they sometimes look surprised!